Beautiful Intrepid 377 Walkaround. Just listed and priced to sell immediately. This one looks much newer than many 2012s and she boasts a long list of options and upgrades. This 377 is also equipped with two newer Garmin color touchscreen displays plus a new HD radar. 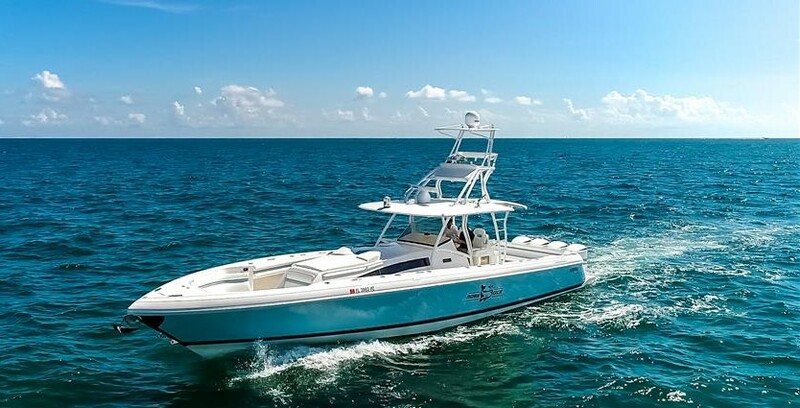 Additional options include a bow thruster, air conditioning, generator, rear transom door, and autopilot. Her 300hp Suzukis have just 160 and recently received their annual servicing. Good looking and loaded ones do not last long on the market. SYS Yacht Sales is pleased to assist you in the purchase of this vessel. This boat is centrally listed by Aqueous Yachts.